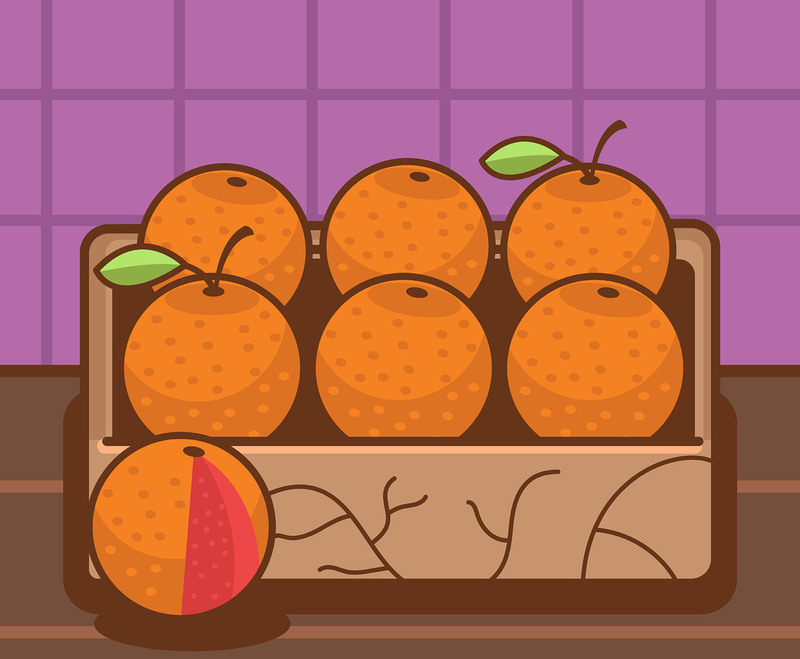 This illustration depicts a tray full of grapefruits. One fruit is outside the tray, being partially cut and exposing its pink pulp. I hope you can benefit from this.